Too often in modern law firms, cases are passed off to paralegals or to a temporary contract attorney. When you trust Mindy Smith with your case, you can rest assured that she will personally be involved in every detail of your case. 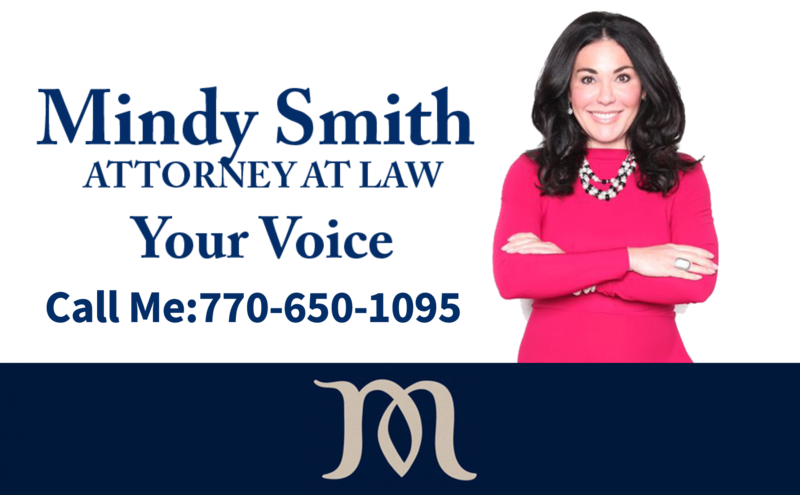 Mindy Smith is devoted exclusively to the practice of family law, with a focus on complex and high net-worth divorce cases. You can rest assured that when you come to Mindy for help, she will handle your case from start to finish. Call the Law Offices of Mindy Smith at (770) 650-1095 to arrange a free phone consultation. As a family law attorney, Mindy handles all aspects of divorce and family law in courtrooms throughout the North Atlanta area. Her Georgia divorce practice addresses all of the various issues that must be determined by a settlement agreement or court order. Mindy is extremely familiar in handling high net-worth divorces and the complexities of marital property division, child support, spousal support, parenting time (child custody and visitation), and more. She is also familiar in handling problems that may arise after a divorce has been finalized such as child support arrears, modifications to family court orders, and parental relocation. Mindy’s other specialties include paternity, assistance with situations involving domestic violence, and prenuptial/postnuptial agreements. Mindy is highly respected and sought out. Quite frequently, you will see Mindy appear on TV specials such as Nancy Grace. Whenever a family dispute may arise, Mindy encourages clients to consider collaborative law and mediation. However, you can rest assured that she will vigorously protect your rights in court when all other methods have been exhausted. Whether your case requires vigorous negotiation, mediation or assertive representation at trial, Mindy has the legal knowledge and background to protect you and your interests. Mindy is here to help. Call the office at (770) 650-1095 or contact her online to schedule a consultation. All initial phone consultations are free.